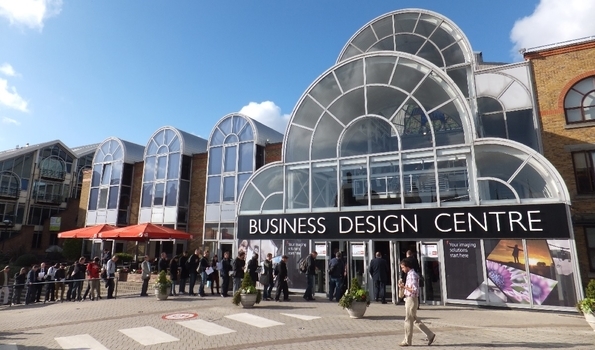 In the heart of London, in Islington, and a very short walk away from Angel tube station, you will find the Business Design Centre. This is a Grade II listed building which opened in 1862 for holding agricultural shows. Nowadays, it’s a popular venue which hosts numerous exhibitions and shows throughout the year. Our meeting rooms are spacious, comfortable and have a modern feel to them - ideal for meetings and training. They are fully equipped with Wi-Fi, flipcharts, plasma screen, Laptop, pads and pens. You won’t find rooms quite like ours! Should you wish to explore the area, there are plenty of restaurants, shops and entertainment right on your doorstep! This substantial training space is suitable for both small and large group training. With 59.7m2, this room is also suitable for creative workshops and team development events for groups. This mid-sized room, with 54.4m2, is modern and ideal for training and/or meetings.This room can be configured to suit your needs from creative workshops to business meetings. This self-contained room can sit up to 16 people comfortably with access to AV equipment. We are located in the Business Design Centre, in central London, close to King's Cross St Pancras station. For more information and to check availability, please contact Aimee Wood by email or on 02072261877. View HotelMap deals for Impact Factory. Alternatively, if you would like assistance with your hotel booking you can contact Jessica, our dedicated hotel expert. Simply email Jessica@HotelMap.com with your requirements, phone number and Special Reference Code MF6K8 and she will get back to you to discuss your hotel options. We are at the London end of the A1. There is an underground Car Park at the BDC. Ring ahead and we can guarantee you a place. The Hilton Hotel is next door, literally 20 metres away. You won't even get wet if it's raining. The Premier Inn is just around the corner, some 50 metres away. We are an international training company, delivering training around Europe and Worldwide. Want to talk to us? Contact us here.